Discussion in 'PS4 - Tutorials' started by m0nadpr0xy, Feb 11, 2019. In this brief tutorial I will show you how you can get rid of autoload exploit payloads that prevent you from accessing other payloads on the exploit page and also how at the very same time you can get rid of any browser cache including offline cached exploit pages. Both can be very useful in cases where exploits cause issues, you don't know how to disable autoload of exploits or want to simply try another another exploit page and need to make room for it. Especially when switching between different exploit pages it is a very good idea to delete all files of the old exploit page. Let's start with the guide now . BE WARNED: When doing these steps you will lose your offline cached exploit page even if you only wanted to get rid of a autoload exploit payload that you didn't know how to turn off or that got stuck. You will have to recache the exploit page after running this guide to get it back for offline usage! 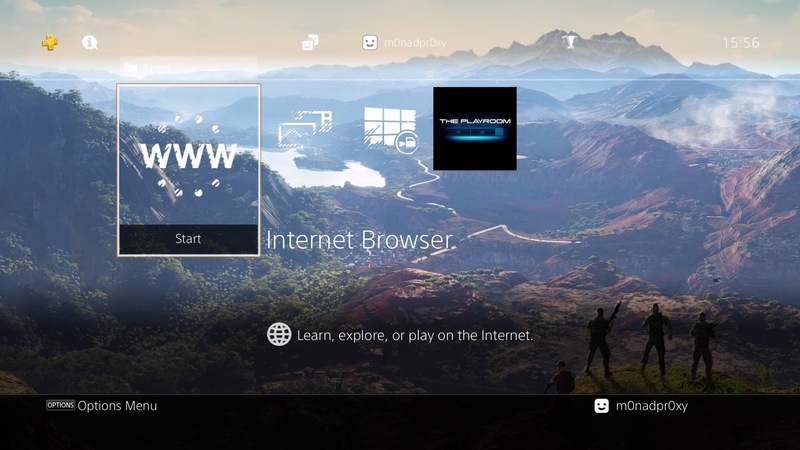 Step One: Start the Internet Browser application on your PlayStation 4 by selecting the application with the WWW icon on your screen. The icon and name may vary depending on your theme and console language! 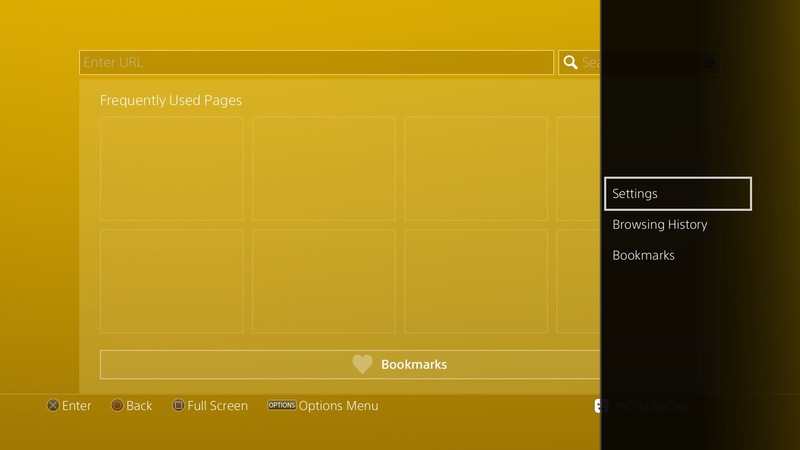 Step Two: Once the Internet Browser has started hit the Options button on your PlayStation 4 controller. A new menu on the right side of the screen will open. In that new menu select the option "Settings" to open the settings page of the Internet Browser. 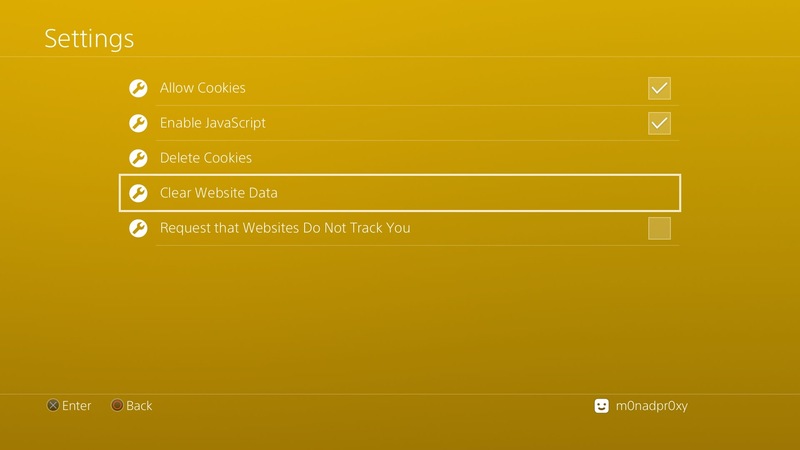 Step Three: On the settings page of the Internet Browser go down to the option "Delete Cookies" and select this option a few times to clear all cookies fully from your PlayStation 4. Step Four: After cleaning the cookies clean up the rest of all exploit page files by going down to "Clear Website Data" and selecting this option a few times again. It is important that you run the options from step three and four a few times. User reports in the past suggest that running it once might not always work as people still had autoload payloads stuck after cleaning cookies. 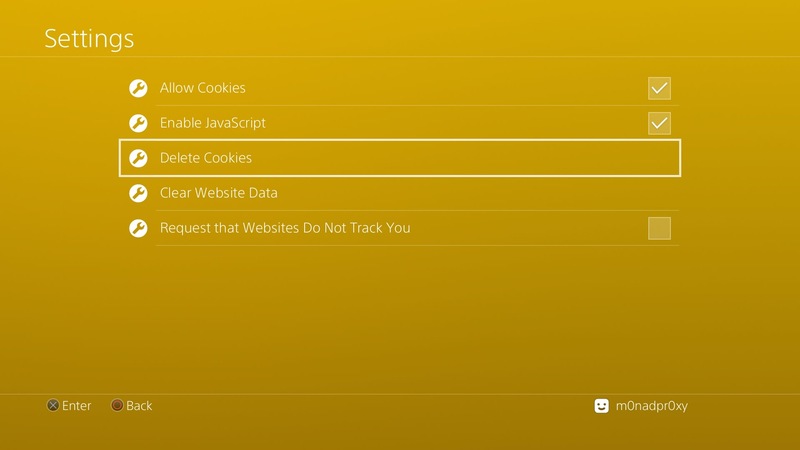 Also run both steps: clear cookies and delete website data. Why? Because also previous reports suggest that both has to be cleaned in order to really get rid of autoload payloads and old exploit page data (the cookies for example control the cache expiration date and the rest are the actualy exploit page files). That's it . Just four brief steps. athoms234, Belafontep, payam and 1 other person like this. Noob question, how do i recache the exploit page? @Eivan Depends on which exploit page you are using. Do you have a tutorial on how do i change to the latest exploit page? I can only ask again... which exploit page are you using/do you want to use? There are several different exploit pages available. Can you recommend me one? I want something latest which has alot of features and with Bin loader. Al Azif works well for that purpose. Also Project-X 1.5.5 (current version) is also great. I use Project-X 1.5.5. on my console. It has an option to cache it offline just like Al Azif has. I have Al Azif one and it doesn't have Bin loader that's why i want to change it. Can i just install Project-x 1.5.5 and it will automatically replace the one that i have or do i i need to delete al azif on my console first? Ahh nvm... I just fixed it now i just do the Delete cookies and Clear website data alot of time and now the other payloads show up. Now i just need to recached them. Thnx m8! You probably had a very old version of it cached hence why a lot of the payloads were missing. Also remember that payloads that require network connection will disappear once your consoles goes offline.